The United Kingdom is a strange mix of the avant‑garde and the conservative, where vast green valleys unfurl between vibrant cities like London and Edinburgh. 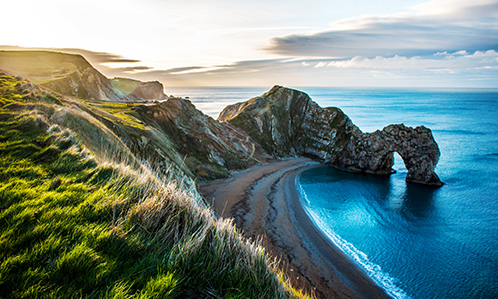 Whether you come for the medieval castles or the royals, the wilderness or the rugged beachside cliffs, you’ll be delighted by the countries of the UK. Hikers have plenty of trails to follow in Scotland and Wales, while beer lovers can have a drink in an Irish pub. In England, music fans can walk in the footsteps of the Beatles, and you could even have yourself a royal wedding! 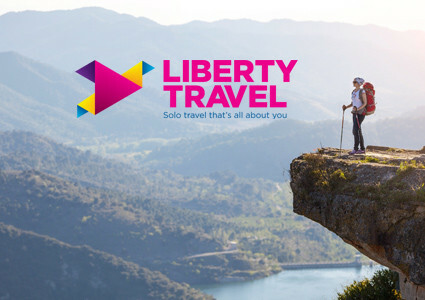 To make sure you don’t miss anything, our travel agents have compiled their favorites to help you get ready for your vacation in the UK. The British may live on an island, but they’re hardly insular. England, Scotland, Wales, and Northern Ireland together contain more museums, tourist sites, and hiking trails than you can imagine. 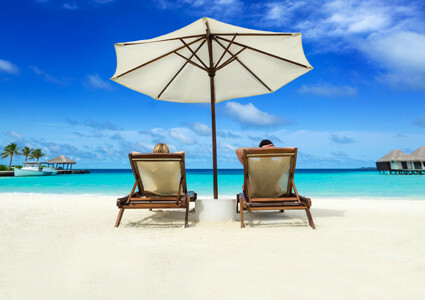 Ask a travel agent which regions best fit the type of vacation you’re looking for. The British “stiff upper lip” is legendary, although subjects like rugby or Brexit can bring some heat to conversations. 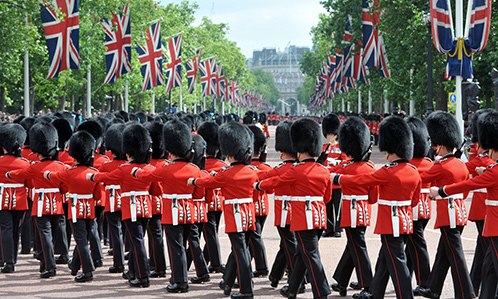 The Union Jack unites the people of England, Scotland, Wales, and Northern Ireland, but they remain very protective of their respective identities and cultures. Don’t be surprised to get called “darling” or “love” when you’re in a pub, or to hear a dry joke that you don’t quite understand. That’s just the English sense of humor. On a foggy morning on the Scottish Coast, you understand why so many legends lurk in the United Kingdom. From haunted castles and the Loch Ness Monster to Celtic myths and leprechauns, travelers will have quite a few stories to tell after a journey to the land that gave birth to the legend of King Arthur. With England, Scotland, Wales, and Northern Ireland all rich in culture, there are a thousand and one different ways to explore the UK. 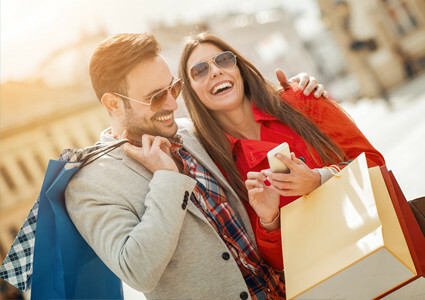 Talk about your trip with a travel agent to make sure you don’t miss anything! London, the capital of both England and the UK, is much more than just a city. It’s a cosmopolitan megalopolis where more than fifty different communities live side by side. It takes inspiration from the immigrants who make up much of its population, bringing together tradition and modernity. The soul of Britain is incarnate in the city’s icons—red buses, Buckingham Palace, Tower Bridge, Big Ben. 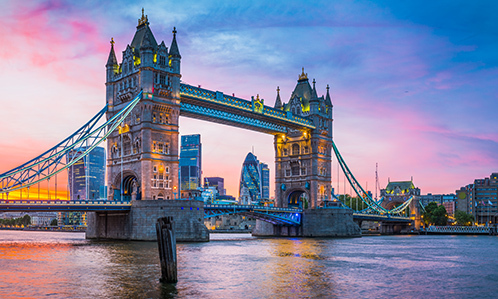 London always knows how to surprise its visitors, whether it be on a walk by the Thames, in a pub over fish n’ chips, on a visit to one of the city’s 300 museums, or while exploring one of its many marketplaces. 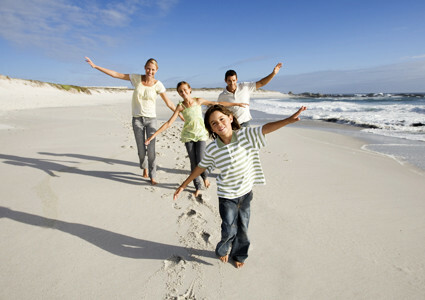 The United Kingdom has an oceanic climate that brings mild temperatures throughout the year. Temperatures average around 20°C in summer and 5°C in winter. The country has a deserved reputation for being rainy: it rains about ten days out of every month. However, it’s mostly light showers that won’t spoil your day. July and August are the driest months, but also the busiest. Springtime, when you can admire the blossoms, is a great compromise! There is a number of flights from Canada to London, England, but you could also choose to arrive in Glasgow, Scotland, or land in Dublin, Ireland and make your way to Northern Ireland from there. Wales is easy to get to via a domestic flight to Cardiff, or by train. There are plenty of ways to get to the UK! Ask your travel agent which way is best for you. To best deal with the weather in the UK, pack a raincoat and an umbrella, regardless of the season. Bring a versatile wardrobe that will let you handle temperature changes. And don’t forget to bring comfortable shoes as well—the United Kingdom is a place best explored on foot. If you plan to go hiking, make sure you have waterproof hiking boots, because the paths are often muddy. Don’t think the UK serves nothing but fish and chips! Brits aren’t known for their cuisine, but the dishes include plenty of comfort food for dreary days. British cooking tends to make meat the star of the meal, especially beef and lamb. Stew: Every country has its own stew recipe! Lamb is slowly simmered with carrots, potatoes, and onions until soft. Shepherd’s pie: This dish of minced meat covered in mashed potatoes is also called cottage pie. It’s not unlike the French hachis parmentier. Scotch eggs: A hard-boiled egg covered in sausage meat and breadcrumbs and then deep‑fried, eaten hot or cold. More of a snack than a full meal, these are great for bringing to picnics. Haggis: Scotland’s national dish isn’t for everyone, but it’s worth giving it a try! Haggis is a sheep’s stomach stuffed with giblets that have been seasoned with spices, onions, and salt. Ploughman’s lunch: This dish, often served in pubs, consists of cheddar cheese, bread, butter, ham, salad, and pickles. Full English breakfast: There’s no better way to start a day of sightseeing than with a full English breakfast. The meal includes fried eggs, bacon, baked beans, sausages, tomatoes, mushrooms, and hash browns, and will keep you going through dinner and beyond! Tea: The people of Great Britain have been the world’s largest consumers of tea since the 18th century. Although it’s generally served with a splash of milk, it’s not uncommon or frowned upon to drink it black, with a lemon wedge, or with a bit of sugar. At an afternoon tea service, you’ll also be treated to finger sandwiches and pastries. Irish beer: Beer is the most consumed beverage in Ireland. Besides the iconic Guinness, try Smithwick’s, Murphy’s and Beamish. Cider: The UK loves its alcoholic apple juice! You’ll have a vast array of ciders to choose from in any pub—on tap or bottled, sparkling or flat, dry or sweet. Pimm’s Cup: Invented in the south of England, Pimm’s is sold in bottles. It’s served mixed with lemonade and chopped fruit, and is especially popular in summer. Whiskey: One of the things the UK and Canada have in common is the production of excellent whiskeys. “Scotch whiskey” is a protected designation; to receive that label, the whiskey must have been distilled and aged in Scotland for at least three years. In the UK, it’s customary to leave a tip for taxis and restaurants. The usual amount is 10‑15% of the bill. However, make sure that the tip hasn’t already been added to the check—it often is! 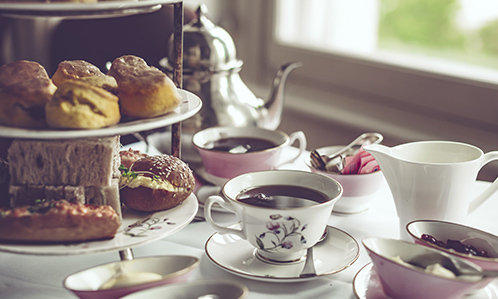 No, it’s not just tea: afternoon tea is part of a long English tradition. Generally taken between lunch and dinner, it features finger sandwiches with eggs or cucumbers, scones, and other little treats accompanied by a nice Earl Grey. Of course, even though it’s only considered a snack, we guarantee you’ll come out of it feeling full! Some call Stonehenge (“the hanging rocks”) one of the most beautiful megalithic monuments in Europe. Located near Salisbury, the site is almost 5,000 years old. The upright rocks, arranged to form a circle, are quite a sight to take in. And what was the purpose of this place? Many archaeologists have proposed theories to explain it, but no one can say for certain. That’s what makes the site even more magical! The Isle of Skye is a real gem located in northern Scotland, right in the middle of the highlands. It’s well known for its wilderness, picturesque fishing villages, and medieval castles. You’ll also fall in love with our dear friends the sheep, who are never in a hurry to make way. 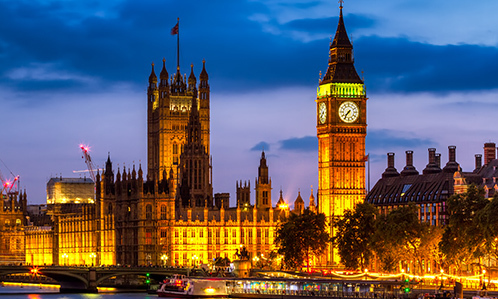 Big Ben is undoubtedly one of the most recognizable landmarks in all of England. Did you know that the name actually refers to the enormous bell, mounted inside the Elizabeth Tower of the UK Parliament building? Big Ben is just as reliable today as it has been since it first started operating in 1859, sounding the hour to all of London. On the northern coast of Ireland, you can explore the Giant’s Causeway. This UNESCO World Heritage site is a unique geological formation where 40,000 hexagonal columns spill out into the sea. It’s a magnificent sight to enjoy at sunset! The journey from Fort William to Mallaig takes an hour and 45 minutes and has been called one of the most beautiful train trips in the world. It’s a gorgeous route that takes you across the stunning Scottish landscape between green hills, Loch Ness, and medieval castles. Fans of Harry Potter will recognize quite a few settings from the films! For a lot of first‑time visitors, “Oxford” means the university. The golden stone architecture of the various colleges clustered around irresistible medieval streets is without a doubt the source of the town’s charm. Don’t be afraid to walk around: some of the best parts of Oxford are open spaces like the parks, gardens, and rivers, which are just as worth a visit as the buildings and museums. Take a moment to get out of the city and unwind in the picturesque highlands of northern Scotland at Inverness. In this small town located right next to the famous Loch Ness, you can try to catch a glimpse of the iconic sea monster they call Nessie! Yes, you read that right. You really can look for seashells at the summit of Snowdon, the highest mountain in England and Wales. Without going into the boring details, the area that is now Snowdonia National Park was, once upon a time, at the bottom of a prehistoric ocean before tectonic activity forced the ocean floor to become one of the UK’s highest mountains (after Ben Nevis). Go on a hike and have a look at the prehistoric seashells and fossils that cover the mountain! Imagine shops as far as the eye can see, where every little corner is packed with markets and unusual finds and everything is a mixture of punk and chic style. Camden’s ambiance is both inimitable and eclectic! On the menu is a riot of colors, strange store facades, and out‑of‑the‑ordinary creativity. Don’t be afraid to wander through the alleys—you could find something marvelous!